Book Review - Black Widow: Forever Red - Honk if you love justice! Before you start this book, know that while it’s got Black Widow in the name, it’s both about her, and not exactly about her. If it might bother you to discover the story is told mostly through the viewpoint of a teenaged girl that has an…interesting connection to Natasha, as some other reviewers seem to, just be aware. 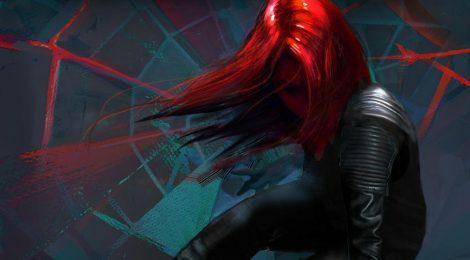 Black Widow: Forever Red (by Margaret Stohl) tells the story of Ana Orlova, a young girl rescued from the mastermind of the Red Room, the infamous organization that turned Natasha into the perfect assassin. Nat promptly dumps the girl into SHIELD’s lap and jets, not being the mothering type. Fast forward 8 years, and Ana is having strange dreams and that evil from the past roars back to put the whole world in danger. Forever Red doesn’t break a ton of new ground, being a fairly standard YA novel, just in this case, it’s set in the Marvel Cinematic Universe. And yes, it’s the MCU, as they specifically mention events like the Battle of New York, and has Coulson as SHIELD director. There’s also an extended appearance from Tony Stark. There’s a good balance between the weirdness of the MCU and the more grounded aspects Natasha typically deals with. I enjoy the interplay between Ana and Nat as their similarities get the better of the older woman (in a “when you get older I hope you have a daughter just like you!” sort of way). The action moves at a fair clip most of the time, and the story has just enough twists to make you second guess some things. ← The First Legend of Korra Comic, “Turf Wars”, Starts June 2017!